Callsigns of the Islands activated over the past 9 years. 1997 - 2003 We activated 27 Island groups for the Island of Scotland award in addition to. EU-008, EU-010, EU-092. 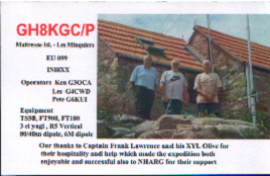 Following problems with the DX-Pedition to EX and X2, the operations had to be cancelled this was due to local difficulties. Negotiations are underway for 2005, which hopefully will result in the activation of an Island that have never previously been operated from, in an area which should give good propagation opportunities for Europe and the US. All the operations have been based on a basic 100 watt transceiver , light weight beam antenna's, Verticals and wire antenna's. 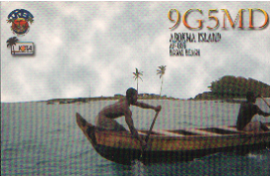 A policy of 100% QSL direct or via the bureau has resulted in a throughput of many thousands of QSL cards from all around the world. The operations have made many friends and happy operators throughout the world. 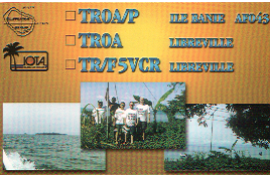 Below are just a few QSL cards from Islands that I've activated over the last few years. 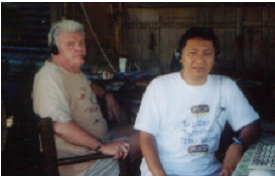 For information of future DX-Peditions that we will be going on, keep your eyes on this web page.